drenched decay, and returns a sense of regality to its residents. wonderful companion piece; details at www.wixel.be. Halda ~ Enjoy Eternal Bliss (Big Scary Monsters/Burnt Toast Vinyl). for mountain peaks and outstretched hands. spiritual striving and secular rage. Freaking amazing. slowly reveals its own, distinctly Scandinavian identity. Ef ~ Give Me Beauty … Or Give Me Death! (And the Sound). a whole lot of healing. Kira Kira ~ Skotta (Smekkleysa). Yet another delightfully off-kilter Icelandic wonder. Blueneck ~ Scars of the Midwest (Don’t Touch). More epic sounds from Great Britain. Ryan Teague ~ Coins and Crosses (Type). A holy hybrid; music for modern monasteries. Sufjan Stevens ~ Songs for Christmas (Asthmatic Kitty). Better than frankincense & myrrh. Johann Johannson ~ IBM 1401, A User’s Manual (4AD). Music from a dying machine. Mono ~ You Are There (Temporary Residence). Sad, sprawling Japanese soundscapes. Helios ~ Eingya (Type). Piano wunderkind adds electronic instruments to his repertoire. Greg Haines ~ Slumber Tides (Miasmah). Only 18, and already drawing popular notice. Tim Hecker ~ Harmony in Ultraviolet (Kranky). The granddaddy of tuneful tinsel. Machinefabriek ~ Marijn (Lampse). The sound of gears and nuts cracking loose. 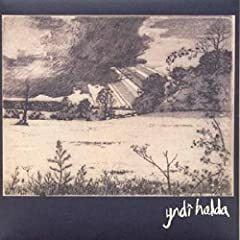 Yndi Halda, Illuminate my heart, my darling! Markus Zusak, The Book Thief. A Holocaust novel about art, friendship and love, narrated by Death. Marilyn Johnson, The Dead Beat. How to sum up a life: a surprisingly funny history of obituary writing. Gavin Pretor-Pinney, The Cloudspotter’s Guide. When clouds gaze down on us, what do they tell each other we look like? Susanna Clarke, The Ladies of Grace Adieu. Short stories set against the backdrop of Jonathan Norrell & Mr. Strange. John Connolly, The Book of Lost Things. A modern fairy tale about the lessons of classic fairy tales. Rachel Cohn and David Levinthan, Nick and Norah’s Infinite Playlist. A young adult novel that features – and showcases – a running soundtrack. The perfect beach book, a slim tome about swimming with a baby whale. A bleak and bitter vision of a father and son adrift in a post-apocalyptic world. Keith Donahue, The Stolen Child. While a fairy falters in the human world, a human thrives in the fairy world. Marisha Pessl, Special Topics in Calamity Physics. An incredible debut that comes to a shocking and sudden end. United 93: A total triumph from every angle and in every category. Pan’s Labyrinth: Returning the fairy tale genre to its horrific roots. The Prestige: How far would you go in your pursuit of vengeance? The Descent (British Version): Do you like scary movies? See this. Be the first to comment on "Richard Allen Poop 06"